2007- Willio traveled to Haiti with a team of pastors from California to facilitate a conference for pastors and church leaders in the Grand Goave area; interviews were conducted at that time and Enoch Saint Aime and Facon Maceus were selected to be trained at the seminary in Port au Prince. Pastors Facon and Enoch, upon graduation would join Willio as instructors once the school opened. 2008- Willio traveled to Grand Goave, Haiti with a team of pastors from California to facilitate another conference for pastors and church leaders. 2010- Willio and Neecole travel to Haiti to see and experience life in the community they would be moving to in the next four years. 2012- Facon and Enoch graduate from seminary, earning their Bachelor of Theology degrees. 2013- More than Bread officially becomes a not-for-profit organization. 2014- Willio, Neecole, and their only daughter (at the time) move to Grand Goave, Haiti. 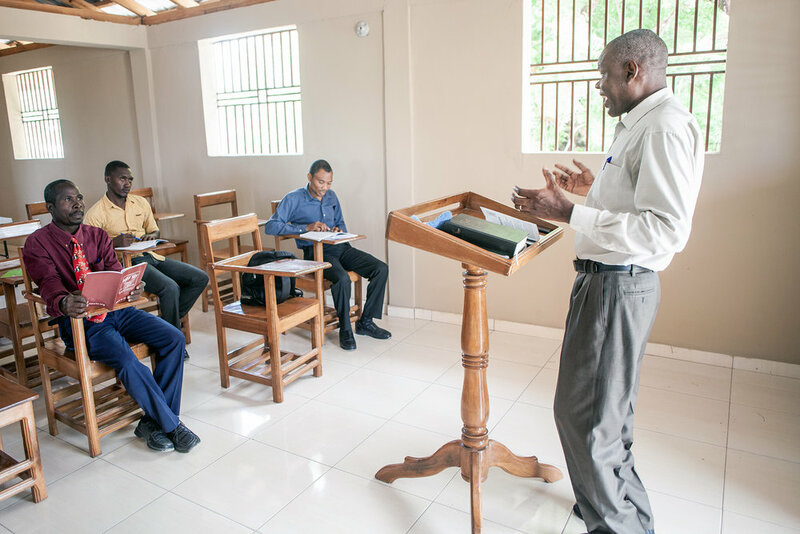 2014- The pilot year at the Bible Institute of Grand Goave begins with an enrollment of 15 students. 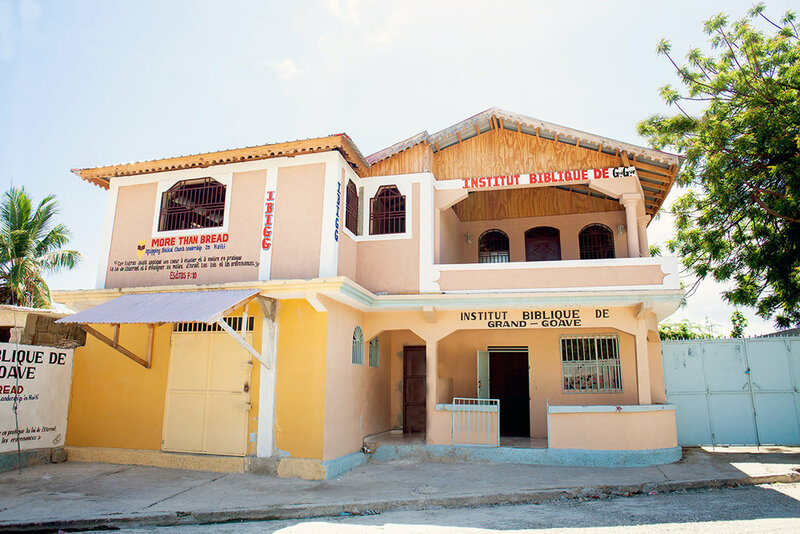 2015- The first official year of the Bible Institute of Grand Goave begins in their newly rented building. Before the Bible Institute of Grand Goave officially launched, the staff decided to begin with a trial/pilot year. That year (July 2014-June 2015), they enrolled 15 students. Today, at the close of their 3rd official year, (August 2017- June 2018) the school has grown to include 46 students. These students pastor, teach, and provide oversight to many churches in Grand Goave, Petit Goave, Leogane, as well as Foche. At least once a year, the staff of the Bible Institute conducts interviews for those interested in enrolling at the school. Candidates much complete an application and interview with the three instructors on two separate occasions. The second interview includes the applicant’s wife, if they are married. All those who apply are not accepted. The school seeks to enroll students with integrity who serve in leadership capacities in their local churches; students who love the Lord, the local church, and their respective families. in enrollment in 3 years. In order to accommodate more classrooms, a chapel for student body services, as well as an additional office for one of the instructors, More than Bread agreed to add an upper level above the original Bible Institute location. The current owner agreed to accomplish this work, and raised the annual rent to assist with the cost. The work commenced in the summer of 2017 and was completed eight months later in February of 2018. Help us impact Christian Education in Haiti.